The Elysian Fields - could they be on Tenerife? The Elysian Fields. Here's another Ancient Greek history lesson. Also called "Elysium", this was a place where "good" people and Greek heroes went after they died and, therefore, was supposed to be a form of paradise. Elysium was mentioned by several Ancient Greek scholars in their writings. Homer (nothing to do with "The Simpsons", kids) mentioned it in his great work, The Odyssey. Virgil's Aeneid speaks of them, too. 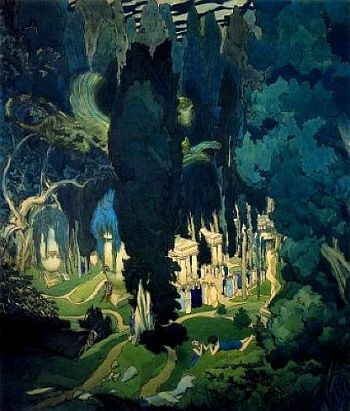 The place is said to exist in "perpetual spring" and have an abundance of "shady groves". Do you see where this is going? Its location was described as "on the western margin of the Earth". Now, back then, it was thought that the Earth was flat and, if you ventured too far out into the great ocean beyond the pillars of Heracles (the Altantic Ocean), you'd fall off the edge. The "western margin of the Earth", then, would have been somewhere out into the Atlantic Ocean - but not too far. 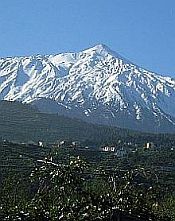 It has also been called "The White Isle" and it's worth noting in this regard that the summit of Mount Teide is often covered with snow. Another account details that Elysium contains the gateway to Hades, the Ancient Greek underworld. The crater of the Teide volcano has also been said to be the entrance to Hades. It's getting pretty conclusive, isn't it? The Elysium Fields were on Tenerife! When Greek heroes or virtuous people died, they ended up there! It's amazing to consider that and put it in the context of what Playa de Las Americas is like today, isn't it?